Are you behind on payments or not far from it? We can help. The current economy has been devastating for a lot of families. I have met many people affected by major life-changing events like divorce, death, job loss, and medical issues that have left them unable to make their payments. This can be incredibly stressful and overwhelming. 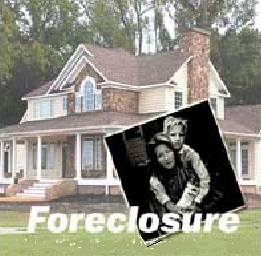 There are options other than foreclosure. 2. Sell your home and pay NO realtor commissions or penalties to the mortgage company. 3. Work directly with your lender to work out the best solution for you. 4. Stop the torment and stress from your mortgage company and other creditors. 5. Get the scheduled auction date cancelled. 6. Possibly get you $1000 for moving expenses from your lender. 7. Direct you to the right people that can help you rebuild your credit after the sale. Why Sell Your Home Before Foreclosure? 1. To get the lender to agree to take the sale amount as a “Settlement In Full” and NOT seek a deficiency judgment against you. 2. To start rebuilding your credit immediately. A foreclosure will stay on your credit a minimum of 7 years. 1. A court judgment will be awarded to your lender. 2. The judgment will be attached to your credit file, with all of the credit bureaus. 3. You home may be sold at a sheriff’s auction at the county courthouse. 4. You may be evicted from your home by the new homeowner. 5. Your lender may pursue deficiency judgment against you for the difference between the amount you owe on the property and what the property sold for at auction. Even if you owe more on your home than it is worth in the current market, we can help you figure out the best course of action. Please call us. We will answer any questions you have with no obligation. We have helped many families out of this type of situation and would love to do the same for you. Don’t despair. There are additional resources in Louisville to help you if you are in financial trouble. The Louisville Metro Government is partnering with Metro United Way, the Kentucky Housing Corporation, Louisville Urban League and the Housing Partnership Inc. to connect you with resources, information and assistance to help prevent financial problems and foreclosure. Find out if you are eligible for the Making Home Affordable Program to save your home. USA Cares – provides military families with financial assistance to prevent foreclosures and evictions.